If you think no one can ever measure up to your love for Char Kway Teow, challenge yourself with “Makan Food Trail”. Maybe you’ll even find yourself a fellow foodie in crime, with just as much love for your favourite dish. Mingle and bond over meals at various stalls that range from healthy to yummy-licious. Money pouch for 3 dishes are all provided, so you can focus on interacting with your new makan kakis, and possibly find the one to makan for life with. Take this Saturday to discover new makan dishes and get to know a few new friends. 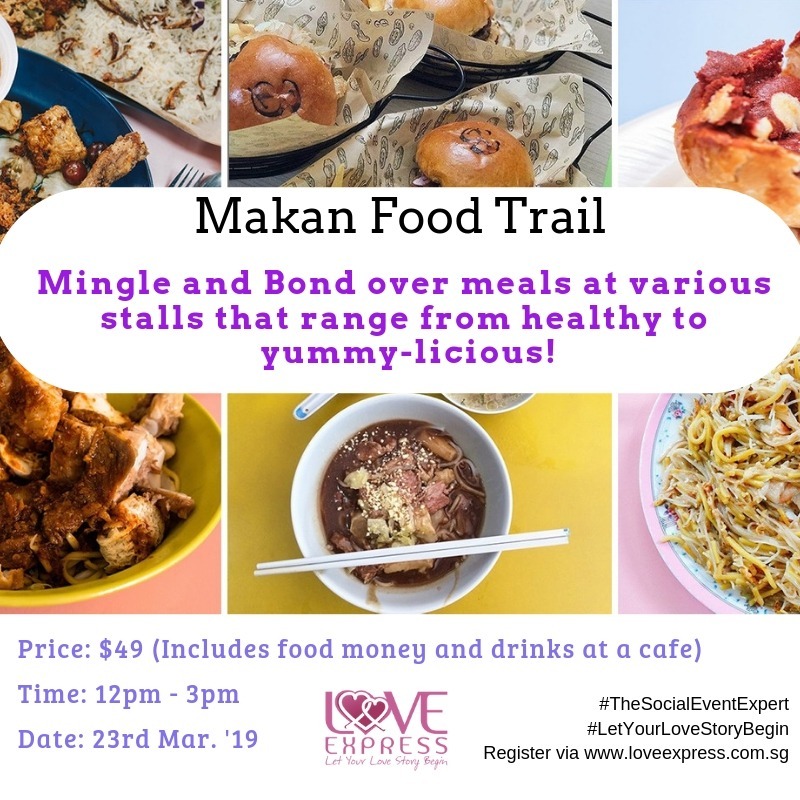 After the makan food trail, head on down to a cool cafe for a nice cuppa and mingle session to share about your other food experiences overseas or in Singapore.